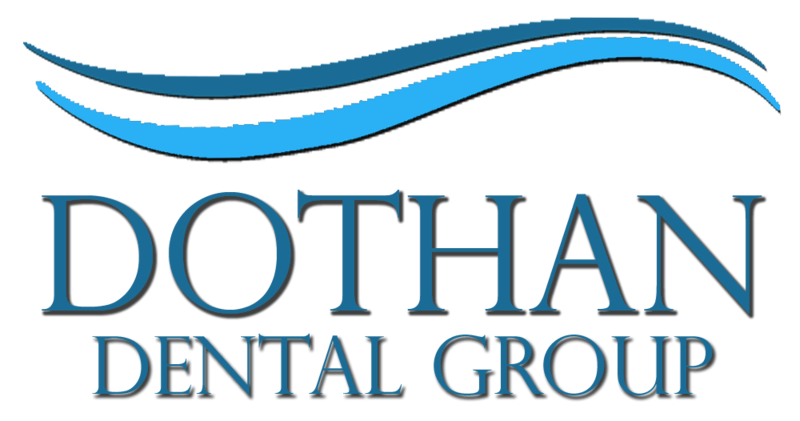 Dothan Dental Group is proud to offer several advanced dental technologies to our patients – including dental implant placement and restoration. This innovative technique allows us to repair missing teeth with permanent replacements. The implant itself is a biocompatible titanium post that we place in your gum. As you heal, the post becomes a permanent part of your jawbone in a process known as osseointegration. The part of the implant that everyone sees is a crown that is attached to the implant. This crown is created from ceramic and looks just like a natural tooth. The material is durable and long-lasting; with appropriate care and regular checkups, the crown on your dental implant can last a lifetime. Many patients come to us concerned about the aesthetics of their missing teeth. The truth is that missing teeth cause more problems than just the obvious cosmetic one. One of the biggest problems posed by missing teeth is the damage that occurs beneath the gumline. When a tooth root is in place, the gum and bone tissue in your jaw is constantly stimulated to renew and restore itself. When the tooth and its root are gone, the bone no longer serves a purpose and atrophies. As the bone and tissue in the jaw diminishes, the other teeth will drift slightly, eventually coming loose and falling out. As you lose more teeth, more bone is lost, and the cycle continues. Other problems linked to missing teeth include gum disease, infections, malnutrition, and depression. While other tooth replacement options such as bridges, partials, and dentures will help solve these problems, they do not have roots to stimulate tissue restoration like dental implants do. One of the features that our patients like best about their dental implants is that once they are placed and restored, they function just like your own natural teeth. This means that caring for them is as simple as brushing and flossing regularly as directed by Dr. Matthews and Dr. Prim (and visiting our office for routine checkups and cleanings, of course!). When you’re ready to talk about dental implants, call our office to schedule an examination and consultation with Dr. Matthews or Dr. Prim. We’ll examine your teeth and gums and take x-rays to determine the quality of the bone in the jaw. Even if you’ve been missing teeth for a while and the bone has already started to deteriorate, you may still be a candidate for implants. If this is the case, we’ll discuss your options with you. Call our Dothan dental office today to schedule your appointment and find out how dental implants can give you back your life!